We have been creating some amazing treats to celebrate National Oreo Day this coming Wednesday, March 6th! How do you eat an Oreo? Do you dunk it? Twist it? Eat the side without the center first? Scoop it soggy out of a cold glass of milk. We have three amazing ideas for the very best way to enjoy your Oreos. 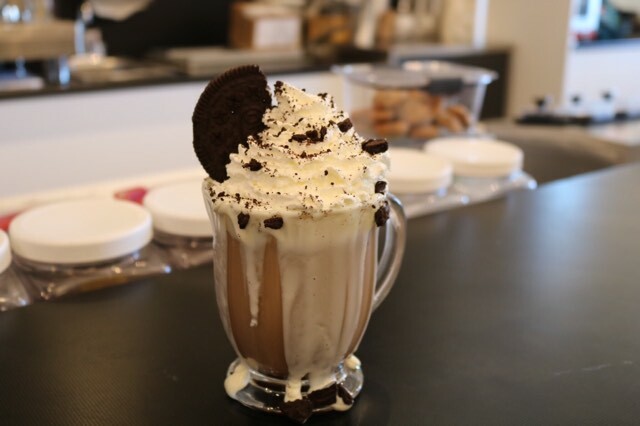 Stop in to indulge in an “Ohhh Oreo” Mountian Mug Shake, a Oreo Mountain Sundae, or a delectable Oreo Mocha. Don’t miss this opportunity to try one of these delicious treats…they won’t be around for long!